After a last minute dash to my local haberdashery store for more grey thread, I have now finished my latest bag collection. Once again this is a limited edition collection with only three different designs, and only one bag in each design available. 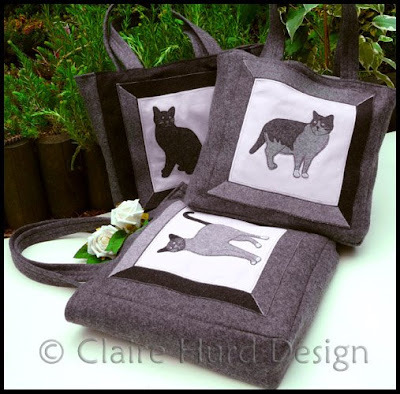 The bags have been made using dark grey wool and have been fully lined. As with all my bags the handles have been reinforced to make them more durable and to avoid any stretching. 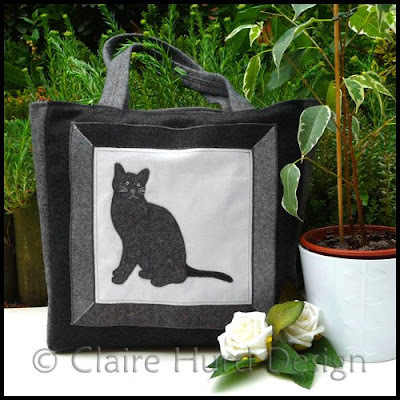 Each handsome cat has been finished off with both hand-embroidery and hand-guided machine-embroidery. 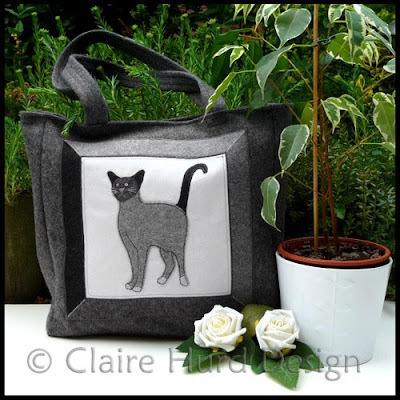 These bags are now available to buy from my shop. 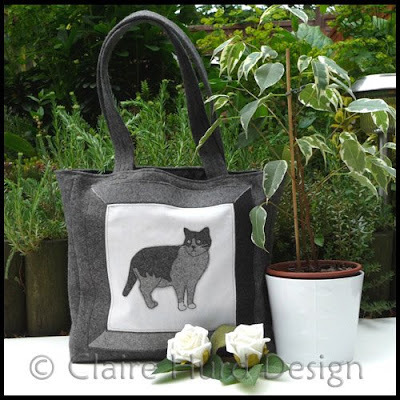 Today I completed a new cosmetics bag design for my online shop. 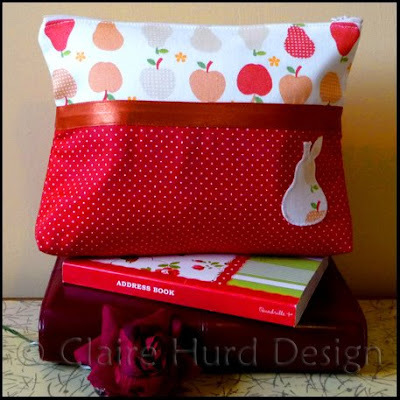 This is a unique one-off design and uses up the last of my Japanese apples and pears print fabric. The bag is lined with lightweight pvc protecting it against smudges and spills. 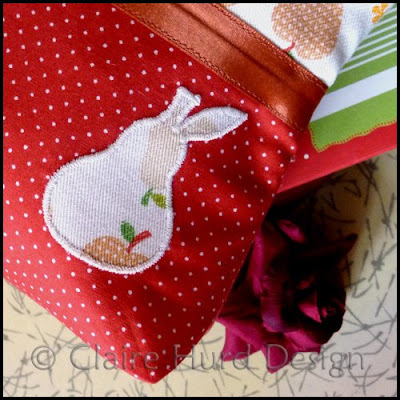 Take a look at my shop for other items in my range including a summer shopper bag that uses the same quirky apples and pears print fabric. 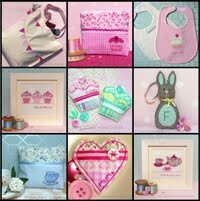 New Online Shop Now Open! 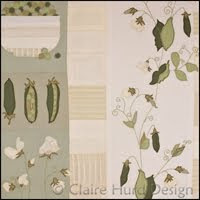 I am very pleased to announce that my new online shop is up and running. 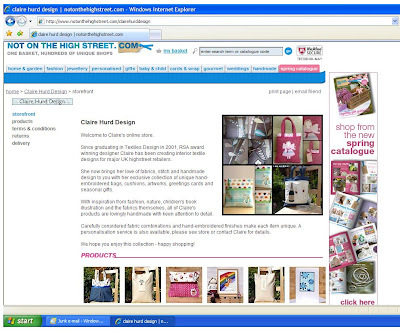 Please do come and visit me at Not on the Highstreet where I have handmade bags, framed artworks and greetings cards for sale. Each product is unique and many designs are a one-off so it is the perfect place to shop if you like to stand out from the crowd or simply appreciate carefully hand-crafted goods. 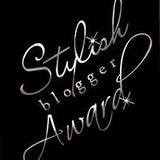 It would be great if you could pop back here afterwards and leave some feedback as I shall be continually updating and improving my products and online stores. 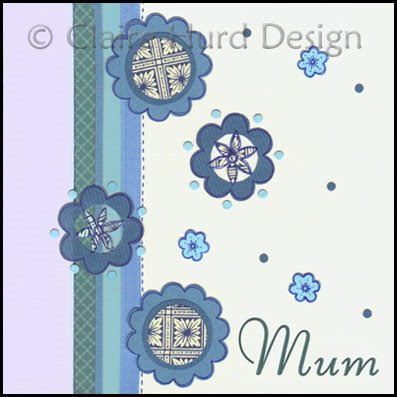 I have just finished designing three different 'Mum' cards all on a floral theme. 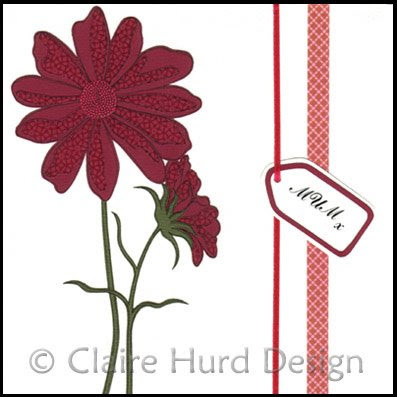 All three cards have been created using collaged textured and patterned paper with hand-sketched details. 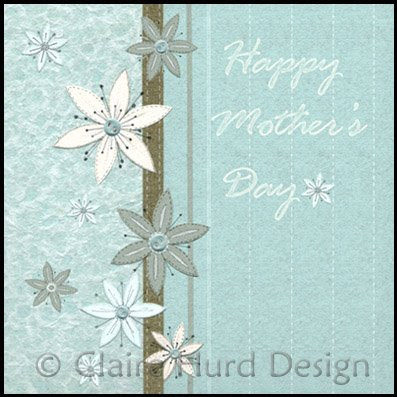 Ribbon has been added to cards 1 & 3 for a more tactile quality and the text on cards 2 & 3 has been added digitally.